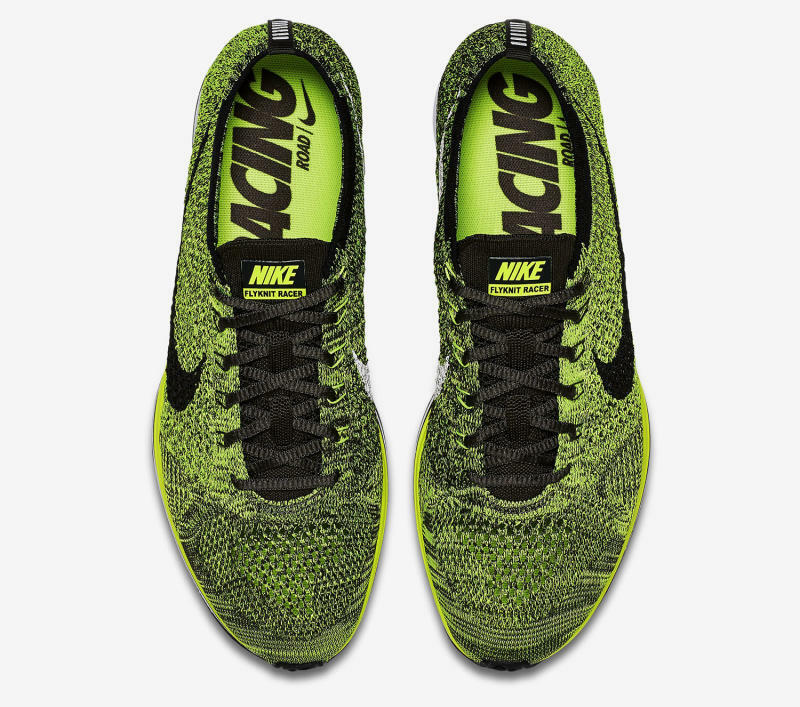 New Flyknit Racers releasing in 2016 with a familiar colorway. 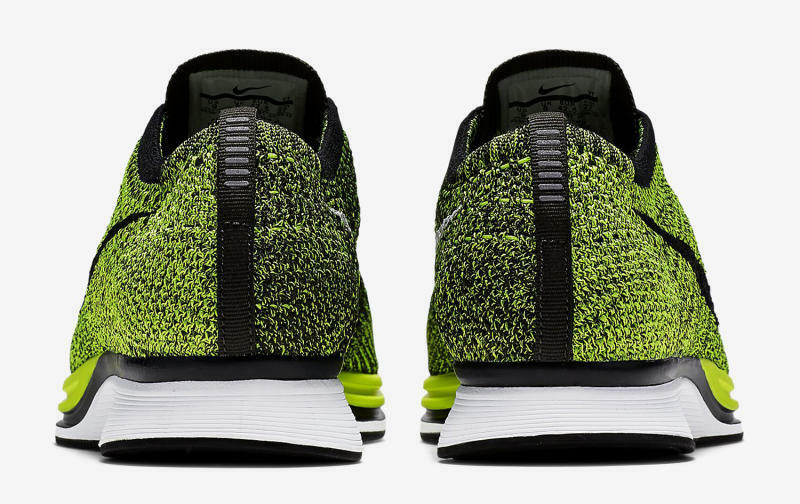 Nike's got a new Flyknit Racer in the works reminiscent of one of the first colorways of the sneaker to ever release. The new pair mixes volt, black, and white–the same colors used on this original Racer from 2012. While the colors are the same, their usage isn't. The shoe here mixes them up more, kind of like what Nike did on this redux of the orange Flyknit Racer that released alongside the aforementioned original volt pair. While the sneaker's dominant color looks to be officially billed as volt, the threads here almost veer on the edge of Nike's electric green shade. This Nike Flyknit Racer should hit stores in August.